With Farnborough out of the way, Boeing has been able to announce that probably sometime in 2018 the 10,000th 737 will be produced. 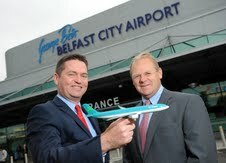 BTNews predicted on 18 June that the following week Aer Lingus would announce the move of its Northern Ireland operations from Belfast International to Belfast City. We got it wrong. It seems that the airline had to go through a tendering process. In any event Sunday 28 October is the changeover date which involves flights to Gatwick and Heathrow, three services daily, and also for the summer season to Faro and Malaga, three per week. A November soft opening is planed for Centara Hotels new Bangkok property opposite the Hua Lampong central railway station and MRT subway. Published last Thursday was a strategy plan from Gatwick Airport saying that it might need to look at a second runway to cope with the expected growth in air travel. This would be parallel with the existing runway and to the south with the minimum separation. 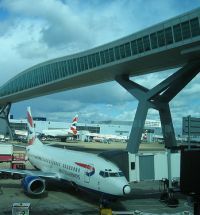 British Airways' owner IAG has abandoned plans to issue its first secured bond backed by its valuable take-off and landing slots at London's Heathrow airport, due it says to insufficient demand. Hilton Worldwide has announced the opening of a new DoubleTree in the downtown area of Los Angeles. With the majority of a multimillion-dollar renovation near completion, the former Kyoto Grand Hotel and Gardens is now the DoubleTree by Hilton Los Angeles Downtown debuting its refreshed Japanese-inspired rooftop garden, the hotel’s signature outdoor event and meeting space. The next seven days are likely to be very important for GB Ltd in the eyes of the world. London 2012 has arrived. 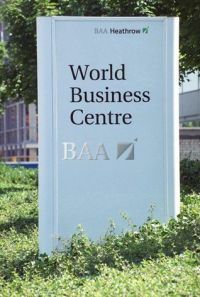 When IOC President Jacques Rogge declared that “the city of London” had won the right to hold the games for the third time many of the senior people in the air transport community were gathered at the Institute of Directors to hear the then Qantas CEO Geoff Dixon discuss his airline’s future. His first, and clearly enjoyable, task was to announce the outcome of the 2005 Singapore vote. Yes there could be minor hick-ups, exploited by bad news hungry press. Nothing is perfect, but London does seem to be ready on time, on budget, and even with a reasonable weather forecast. The airlines are coping well and Heathrow’s long established arrangements working to plan. So far so good. From a business travel point of view it is believed that around 5,000 slots have been taken to date for non-scheduled aircraft in respect of the games, with perhaps another 3,000 to come. As it is not a state occasion Presidents and the like do not take precedence (with the exception of those arriving at RAF Northolt). Airport Coordination Ltd is looking after all matters but applications need to made to the fixed-base operators at the various airports. Helicopters are banned over London with the exception of Battersea which is promoting the use of speedboats via Limehouse to the Olympic Park. Unless travellers have diplomatic status or are part of the Olympic ‘family’ the problems are likely to be with ground transportation. It is understood that Luton is now fully booked and Cranfield, 20 miles on the M1 motorway to the north, is being offered as an alternative. Stansted has plenty of space and aircraft parking facilities and an hourly train service to Stratford. Southend could prove to be the most popular Olympic airport. It also offers up to nine train services per hour to Stratford. 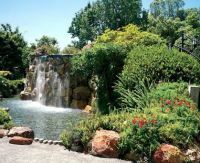 Biggin Hill is still open for bookings, and is ideal for the Greenwich venues. Farnborough has plenty of slots, as has Oxford and Cambridge. 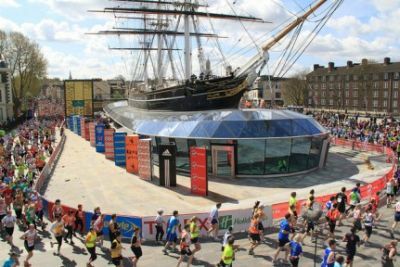 It was predicted 12 months ago that the Olympics would require 10,000 slots and that not a hotel room would be available in London over the busiest two weeks. So far both have been proven wrong. In 1896 the founder of the modern Olympics Baron Pierre de Coubertin, summed up the whole culture of the occasion, true for all whether it be athlete, organiser or spectator "The most important thing in the Olympic Games is not winning but taking part”. Get into the spirit of the games and enjoy until the final Paralympic event. The Fair Tax on Flying campaign is gaining much momentum, even with the Olympics as competition. It is expected to pass the 100,000 email marker shortly. 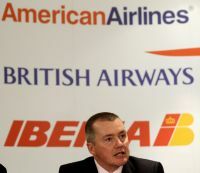 Currently trading in Chapter 11, American Airlines has been sounding out a possible merger with US Airways. US has limited North Atlantic services from Philadelphia and Charlotte and was created by a reverse take-over by America West, which still operates the rump of the routes. It is also a member of Star Alliance. Delta Air Lines, the archetypical American air carrier, has struck a deal with Chelsea Football Club, the European Club Champions, to become its official airline sponsor. Quite how this arrangement, with what is known in the US as a soccer club, was put to the board of the Atlanta-based airline has not been stated, but it might well be the first time the “the beautiful game”, is to be promoted by a United States' airline. Lufthansa’s Germanwings subsidiary has joined the budget airline luggage allowance war. 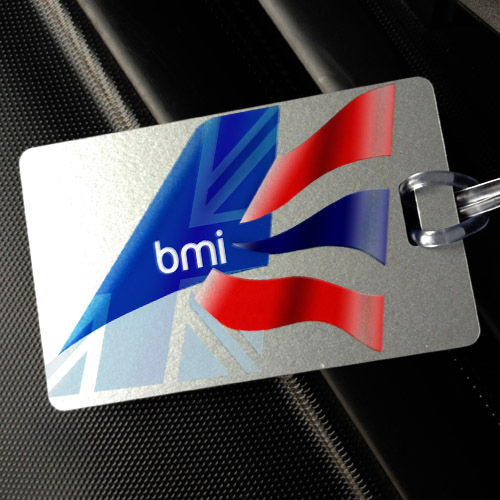 Bringing it in line with the legacy carriers the airline is raising the maximum weight for first luggage items from 20 to 23kg. For its “Best” and “Flex” tariffs, one suitcase will be free of charge. Customers with “Basic” tariff tickets will simply pay €10 for one piece of luggage if they check-in online. 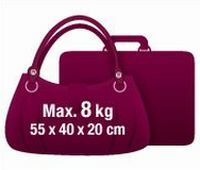 Each additional item of luggage of up to 23kg will cost €70, cheaper than previously. 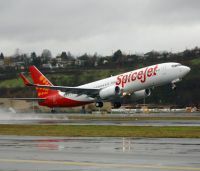 India’s low-cost carrier SpiceJet is launching a three times a week service between Delhi and Kabul from 3 August. Kabul is the carrier’s fourth international destination. Already serving the route is Air India, Ariana Afghan Airlines and Safi Airways, the independent Afghanistan carrier. Since it is a very serious product, designed to conform with the new US light sport aircraft regulations, and with regard to the somewhat wet weather we have had in the UK of late, BTNews is pleased to report that the French-built Lisa Akoya amphibian aircraft is to be demonstrated at Oskosh. The Polish capital gained its second international airport last week with the opening of Warsaw-Modlin Mazovia. The airport is expected to be mainly used by low-cost carriers as an alternative to the main Warsaw Chopin International airport and handle up to 5,000 passengers per day. Previously a military airfield, it has the IATA code of WMI and is about 40km (25 miles) northwest of the Polish capital. Airbus has delivered the front fuselage for the first flyable A350 XWB to the final assembly line in Toulouse. The impressive 21-metre long section is already equipped with its systems and was flown in from the company site at Saint-Nazaire by the Airbus Beluga transport aircraft. 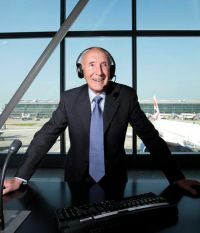 British Airways has announced the second tranche of its winter programme with new routes from Heathrow to Alicante and Rotterdam, increases in services to Gibraltar and Tel Aviv and the introduction of Airbus A321 with flat beds to mid-haul destinations. 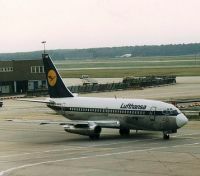 As one German route from London City Airport (Munich – Lufthansa) goes so another arrives, the start of the airline winter season 29 October being the date in question. CityJet is to introduce a daily service to Muenster-Osnabruck (FMO), a city without current UK connections. Flight time is around 1hr 40mins in a Fokker 50 turboprop. If you were thinking of escaping the Olympics and using Heathrow as you route out of the country, forget it. You are going to be hounded all the way. 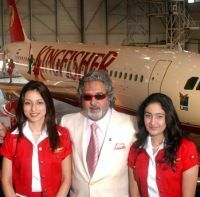 India's Kingfisher Airlines staggers on in spite of reducing its daily operations from 340 flights to around 120. The London service has gone but at least the staff now appear to have been paid from last month. However the Indian tax authorities are chasing for what they claim is a major outstanding debt. Travellers through Heathrow’s Central area will be pleased to learn that the station upgrade has been completed on-time for the Olympics. Two new lifts have been added and also more gates, plus revamped ticket office, travel information centre and other improvements. On the platforms, accessibility humps have been added to allow level access on to trains for wheelchair users. Also on the Piccadilly Line the vastly improved Green Park station, another key Games interchange, is now step-free from street level to train. Etihad Airways has welcomed the decision by the Australian Government to allow the airline to increase its equity stake in Virgin Australia Holdings to a maximum of 10%. 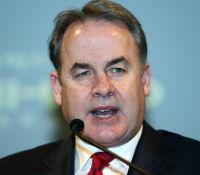 Etihad Airways currently has a 4.99% stake in Virgin Australia, acquired earlier this year, and had applied to the Foreign Investment Review Board (FIRB) to raise the level of its investment.